Home - The New York State Society of Anesthesiologists, Inc.The New York State Society of Anesthesiologists, Inc. Home - The New York State Society of Anesthesiologists, Inc.
What is a Physician Anesthesiologist? 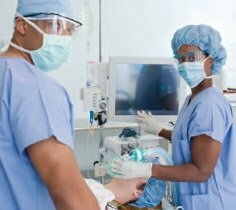 Anesthesiologists are physicians who play a central role in the operating room, making decisions to protect and regulate your critical life functions. They typically are the first to diagnose and treat any medical problems that may arise during surgery or the recovery period. The practice of anesthesiology is broad and transcends the operating room. Anesthesiologists are experts in pain medicine; they help patients with chronic disease live better lives through pain management treatments every day. Additionally, their work in critical care units saves countless lives. Anesthesiologists treat patients with complications from pulmonary and cardiac issues, to infection control and advanced life support. 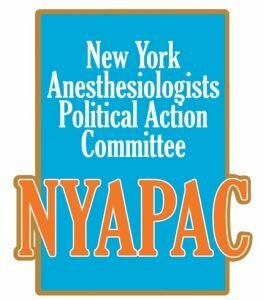 As a member of NYAPAC, demonstrate your commitment to solving the problems facing your practice and your patients. By increasing your support, you will demonstrate the strength of this commitment to your profession while enhancing our ability to protect that profession. Click “Donate” to make a direct online contribution to NYAPAC.